This episode is a real departure for me, and for the show. It’s something I’ve never done before. 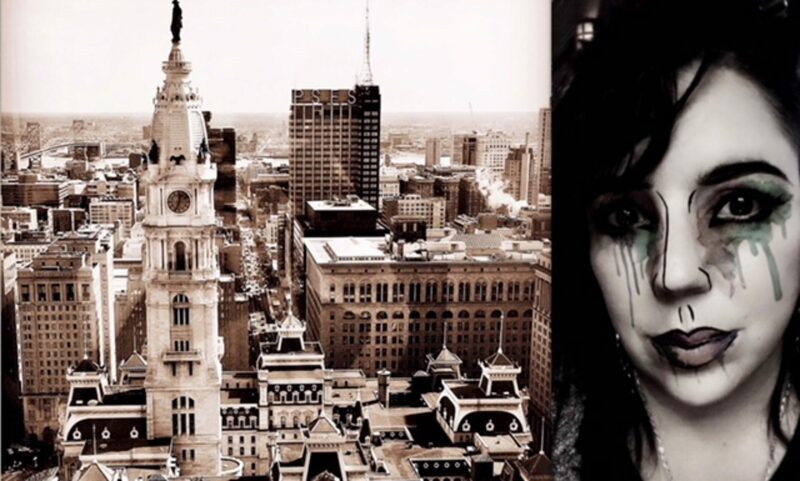 It’s not a story from Philadelphia or Pennsylvania but it’s a story I was compelled to share with all of you. You all know I was in Indianapolis for Crime Con. One morning I was outside chatting with some listeners who became new friends. One of them was holding a missing persons flyer. 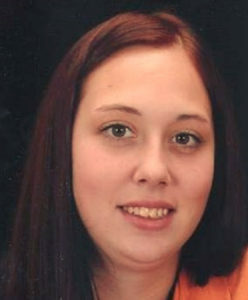 There was a photograph of a beautiful young mother named Ashley Morris Mullis. Ashley’s parents were standing near the hotel, on the corner. Their names are Don and Leandra Morris. They’d come to Indy that day specifically because of Crime Con, because they knew Nancy Grace was there and they were hoping to come into the convention to hand out missing persons flyers to the attendees. And unfortunately, because they weren’t registered attendees they were denied access. They were also hoping to talk with Nancy Grace because she’d interviewed don about his daughter Ashley. 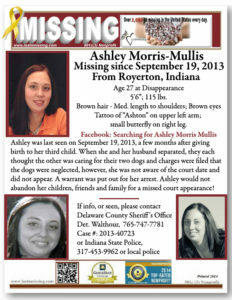 A few weeks after Crime Con I spoke one on one with Don Morris, to learn more about Ashley, who she was as a daughter and mom, and what’s been happening with her case since Ashley Morris Mullis disappeared in September, 2013, almost four years ago, outside Muncie, Indiana. Since that time there’s been no word from Ashley, she hasn’t contacted her parents, she hasn’t contacted her children. At the time of her disappearance Ashley had three children, a five year old son and a two year old son, who are now about 9 and 6, and a six month old daughter who is a little over 3 years old. One thing both Don and Leandra Morris are certain about, Ashley would have never left her children. You can follow Ashley’s story on Facebook at Missing Ashley Morris Mullis. 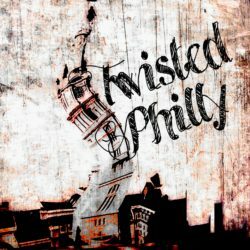 Follow TwistedPhilly on social media – Twitter @Twisted_Philly and Facebook at the TwistedPhilly Podcast. Special thanks as always to Emmy Cerra for the music you heard in this week’s episode. You can find out more about Emmy on her website – www.emmycerra.com – and download her music on iTunes.